The Glass House in New Canaan, Connecticut. Irene Shum, Curator and Collections Manager at the Glass House in New Canaan, Connecticut. Yayoi Kusama's "Narcissus Garden" at the Philip Johnson Glass House. Yayoi Kusama's Narcissus Garden at the Philip Johnson Glass House. This hour, we take a tour of the unique 49-acre property. We learn about its history in New Canaan, Connecticut, and discuss its ongoing role in supporting and sustaining the arts. Have you visited the Glass House? If so, what did you think? We also sit down with author Marc Wortman to discuss a lesser-known part of Johnson's life -- his time as a fascist. 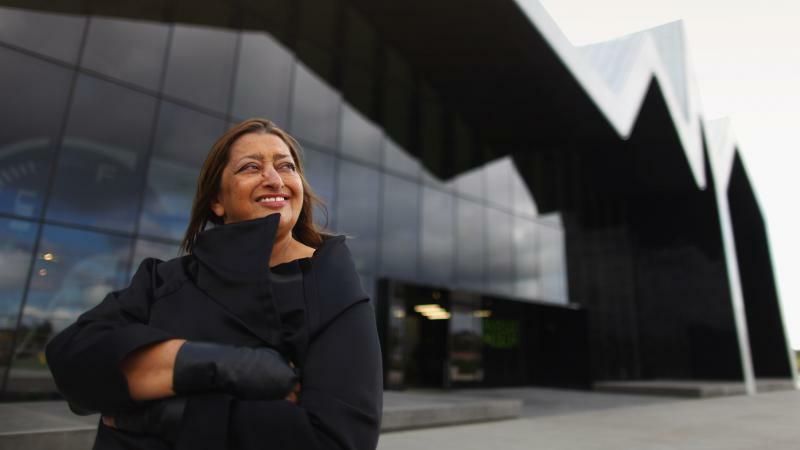 Zaha Hadid, the Pritzker-winning architect whose designs — both realized and unrealized — profoundly influenced the world of architecture, has died in Miami after contracting bronchitis and experiencing a sudden heart attack, according to her architecture firm. Pre-eminent as a building style during the 1800s, Gothic Revival architecture is often overlooked today. Henry Austin, Ithiel Town, and Alexander Jackson Davis, three of the most important American architects working in the Gothic style, all designed significant buildings in Connecticut.